Overlooking the River Tweed just east of Kelso in the Scottish Borders. The largest inhabited castle in Scotland. Built in 1721 from a design by William Adam. Home of the Duke and Duchess of Roxburghe. 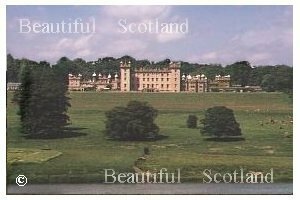 Kelso with nearby Floors Castle -all a delight to explore.